Play For Elham display poster for lottery funded redevelopment of King George V playing field. The poster has something for parents and something for children. 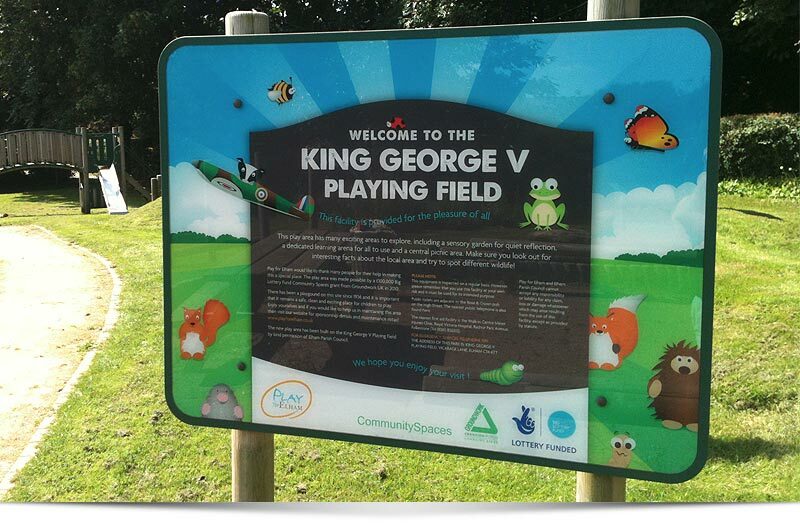 The poster tells of the history, surrounding area and wildlife (apart from the children) of the King George V playing field. Who knew that badgers can fly?